Tired of your fussy/craftsy old vases or thinking of redecorating in a futuristic manner, greenery included? The Bocina series, designed by Mikaela Dörfel for Germany-based Auerhahn Bestecke GmbH, include a watering can and a corresponding vase in matted stainless steel. The minimalist, sinuous design, with two different sized openings, complements the flowers natural beauty, allowing various fresh arrangements. 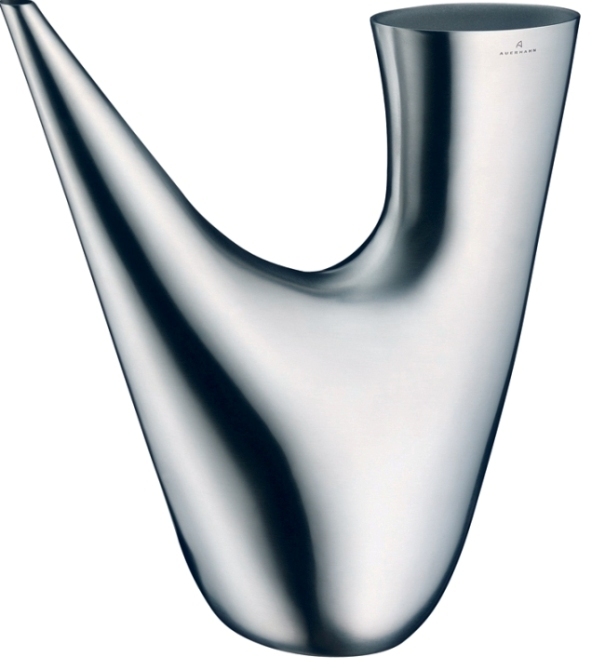 With its graceful, sculptural appearance, the Bocina Vase stands alone as a decorative object. For the sake of clear, refined lines, the Bocina Watering Can was designed without handle, but, despite its delicate impression, it can hold up to two litres. 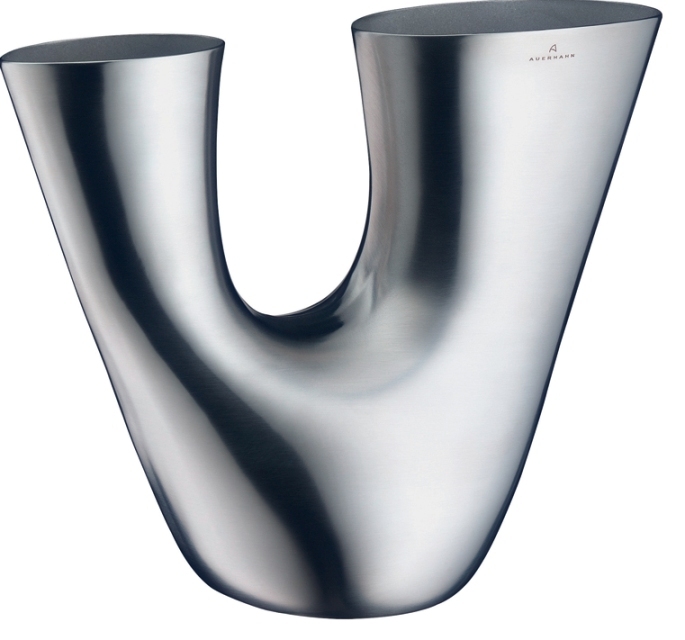 Price: $179.00 each, available at Unica Home.